Wanna participate in a horse show? It doesn’t matter your age or ability level because we have horse shows that range from intramural to the National or Worlds Championships. Shows that are local and casual start at a $175. Shows that are further away and are more competitive will cost more. Some shows require a specific riding outfit and others allow an LF tee shirt and riding pants. Kathryn would love to talk to you about your goals and help you find a path to accomplish them. We are sooo excited to announce that we will have an LF JV and Varsity show team and we want YOU to be a part of the fun! These riders take lessons twice a week every month. Riders will also participate show in 2-3 local shows from February to November. These riders will be invited to participate in an additional riding clinic once a month. These clinics are a privilege earned by the riders' commitment and will not have an additional fee. Riders will be also able to purchase specific JV team outerwear that will showcase this fantastic stepping stone in their riding career. If you want to be a part of this team, please email Kathryn. These riders take 2-4 lessons per week every month. Riders will participate in 4 or more horse shows that are local, regional or national. These riders will be invited to participate in an additional riding clinic 1-2 times per month. 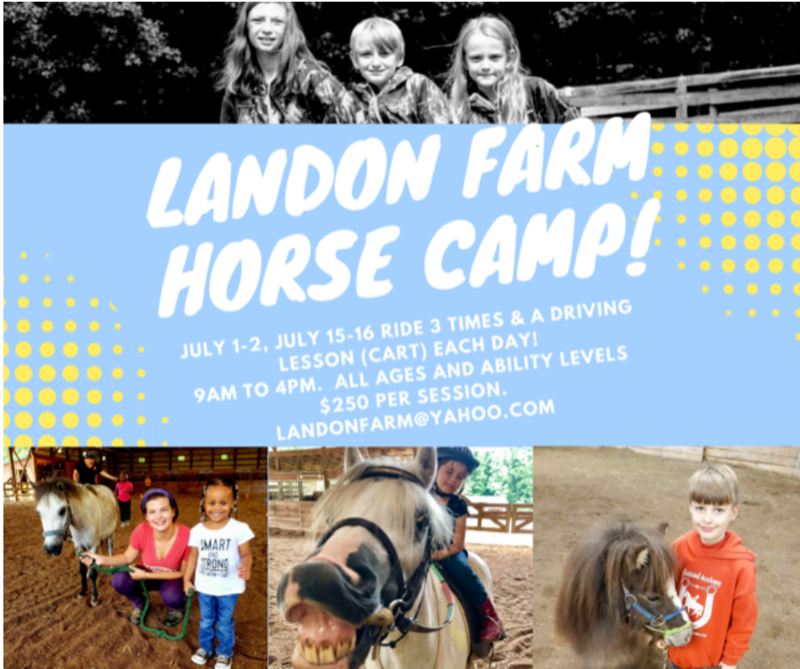 This clinic will be challenging and fun but will also push the rider to try new concepts, these Clinics are a privilege earned by the riders and will not ha e an additional fee. Kathryn will email individuals eligible for this awesome accolade and make clinic dates available soon. Specific varsity team outerwear will be available for purchase. Rachel Blevins is leasing and showing Perry for the show season. Rachel is looking forward to showing on a competitive level in academy and taking the national finals by storm. We all know how much Perry loves the spotlight and the chance to make a victory pass. Rachel works at the bar four days a week. Besides being an avid horse lover and mentor at the barn, Rachel is very involved in her church and community projects. Ashleigh will be leasing and showing Duncan this season in road pony under saddle. This means that she and Duncan will trot very fast and wear fun colored silks (similar to jockeys). Ashleigh is at the barn daily to help with anything that is asked of her. She is always eager to help anyone two or four-legged. We have had a lot of horse sales in the past few months. We want to congratulate all of the new owners and barns that have purchased horses from LF. We always have horses for sale in every division and price point. There are some amazing opportunities to lease academy or performance horses. It takes a minimum of 2 Show seasons to be able to know exactly what your horse needs and wants at specific times in their performance at a show. When you lease a horse, you get the consistency that a horse owner experienced. Every time you show that horse you are able to anticipate what will happen next. It is undeniable when a rider and horse work like a well-oiled machine. That comes with experience and saddle time. We are excited to install updated fencing early this spring. The crazy amount of rain mixed with horses has resulted in some very muddy fields. Reconfiguring the turnouts will enhance the services that we provide at LF. We love summer camp! We will be offering 2 different camps that will be two days in duration. This is a REAL horse camp; we don’t spend our time swimming or crafting. Get signed up today. Any rider that wants to participate in both camps will receive a 20% discount off of the second camp. Technology in saddles has changed drastically over the past 15 years to promote the rider’s balance and core strength. Reputable saddle brands retain value for decades. Let’s us help you locate the perfect saddle for your rider. We want to congratulate the following riders on their new or “new to them” saddles. Lf took a small group of experienced riders to the January tournament in Durham. Sharon, Brennan, Silas, Ella, Rachel, Ashleigh and Brayden all participated in this competition. All of the riders had to show a horse that has never been to a horse show before. That is a very difficult feat for any rider to put a young and very inexperienced horse in their first horse show. These riders were specifically asked to attend the show because they were ready for the mental and physical challenge. The inexperienced horses were Pumpkin (3yr old), Titus (3 yr old), PeeWee (4year old) and Duncan (a pony that hasn’t ever shown under saddle). All of the horses were outstanding and the riders were on point with their communication. These horses placed 1-6th in all of their classes. We attended this show knowing that baby horses may not always cooperate and there could be many obstacles to overcome. The riders gave 110% and channeled their inner “horse trainer.” The riders had the best attitude about their challenges and the team was very supportive to each other and their inexperienced horses. I have never had a group of young horses excel so quickly. The future is bright at LF! My name is Mary Trexler, I am a senior at Piedmont Classical High School. I rescued a pony from slaughter a little over a year and a half ago, her name is Bea. I bought Bea for $250, she had never been touched or love by humans. Over this year and a half, Bea & I have become best friends. From the ground up, I have taught her to be a riding pony and a trick pony. For my senior project, I have partnered with Dreamscape Inc. a horse rescue located in Eagleville T.N. I am raising funds to rescue a horse from slaughter, quarantine, and transport him/her to Dreamscape for rehabilitation and adoption. To raise funds, I am holding a raffle. First place receives half the pot, second place receives a $100 visa gift card, and third place receives $50 visa gift card. To purchase, 1 ticket for $20 or for a deal 6 tickets for $100. To enter, email me at beasrescue01@gmail.com your name, phone number, and address and send your payment to paypal.me/beasrescue. The raffle will end on March 1st and the winners will be contacted. Help me save another life.